The Castle is a secluded hideaway on a windswept mountaintop within the boundaries of the Virgin Islands National Park. This Caribbean home also enjoys one of the most extraordinary seascapes on St.
St John Island Virgin Islands and available online at FindVacationRentals.com. Photos, availability and instant direct access to St John Island Virgin Islands owners or managers. Book your next home away from home direct and save! 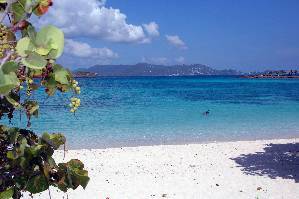 Interested in More St John Island, Virgin Islands?